Social Media | What does Twitter Do? Articles Social Media | What does Twitter Do? I started blogging a few years ago and only recently started writing a weekly column for a local newspaper. It goes without saying that I must engage my readers to keep my gig. Although, and almost more important, are receiving page hits and consistent hits, week after week after week. Did you know there is only one thing that differentiates a blogger and a columnist? Since becoming a columnist it was imperative that I created a new Twitter account to attract a more versatile audience, different than those following my blog. Consequently, the world of # (hashtags), RTs (retweets), DM (direct messages) FF (friend follow) and many other symbols were foreign and intimidating. Prior to creating my new Twitter account I simply followed people that A) I found interesting and B) their Twitter name informed me of our shared interest in the single most important detail of my blog. My tweets were specifically targeted towards those tweeters but I rarely retweeted because I didn’t understand the benefit. All things considered, I was pretty satisfied with the growth and quality of my twitter community. However, it wasn’t growing fast enough. Gaining Twitter followers isn’t complicated but first you must understand the six basic Twitter tools and then you should utilize the tools to build and maintain a flourishing community that is well informed and engaged. Engaging your community will bring more followers aka Tweeeples. RT (retweet) – is used when a user shares another tweeters post verbatim simultaneously crediting the original tweeter. A retweet appears as RT @[username] followed by the tweet. DM (direct message) – a message up to 140 character’s that only the user it was sent to can see. 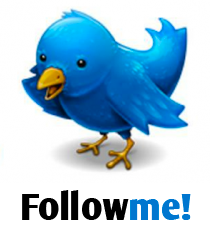 #FF (follow Friday) – a hashtag used by tweeters to help their fellow tweeples to gain more followers. Should you make the most of the above-mentioned tools you will see an increase within your Twitter community. Although we cannot guarantee you will generate a large amount of tweeters we can guarantee that the more you put into your Tweets, the more you will get out of Twitter, altogether. The distinction of developing consistent social media habits vs not taking advantage of free marketing = less profit. The fundamental distinction between a blogger and a columnist…a blogger blogs while a columnist earns money – creating revenue for their employer. We cannot emphasize the importance of social media enough – that coupled with a fantastic web presence designed by WGi!